EGHS have used reasonable skill and care in compiling the content of this Web Site on the Internet but makes no warranty, express or implied as to the nature or accuracy of any material on this site and will not be liable for any loss which may arise from the use of information contained in this Web Site. This does not exclude liability which EGHS is prohibited from excluding by law. EGHS is not responsible for links to third party sites and accepts no responsibility for their content. No connection or association between EGHS and the linked sites or their owners should be presumed. 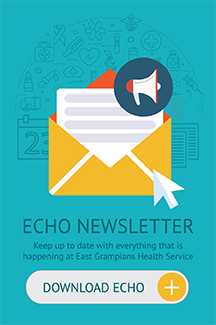 EGHS also intends to comply with any guidelines or laws introduced in Australia to strengthen protections for your privacy. Some of the pages found on the EGHS website use ‘cookies’ to help us remember who you are. Cookies are small pieces of information that are stored by your browser on your computer’s hard drive for record-keeping purposes. Cookies help us provide you with services and features that are tailored to your needs when you visit the EGHS website again. EGHS will seek to take all reasonable steps to keep any information we hold about you secure, accurate and up to date. Your information is stored on secure servers that are protected in controlled facilities. EGHS will take all reasonable steps to ensure that our employees and contractors respect the confidentiality of any personal information held by EGHS. You should notify us immediately if there is any unauthorised use of your account or any other breach of security. However, EGHS does not accept responsibility for any consequences of the unauthorised access to your information. To the extent that you disclose information on the Internet to parties other than EGHS, different rules may apply to the use and disclosure of your personal information. Since we do not control the privacy policies of third parties, you are subject to their privacy customs and policies. We encourage you to ask questions before you disclose your personal information to others. As a user of our website, you agree not to reproduce, retransmit, disseminate, sell, publish, broadcast, or otherwise use any material from this website without the express prior written consent of EGHS. © Copyright 2018 EGHS. All Rights Reserved.